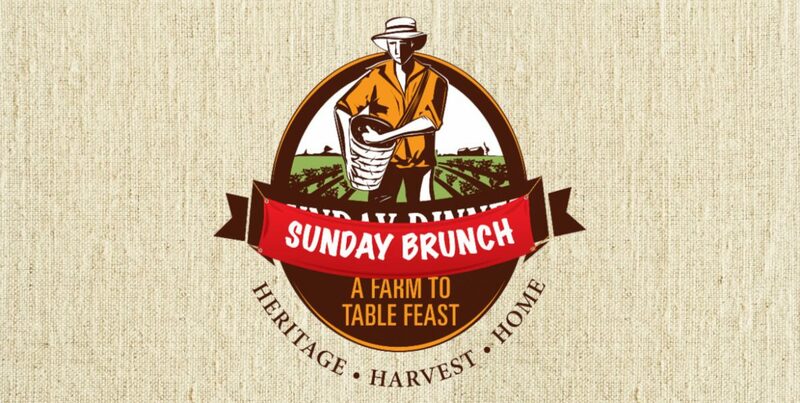 The 2018 Sunday Brunch honorees wonderfully represent our theme, “Women in Agriculture”. Each contributes to the betterment of the Rock County agricultural community. They farm in Janesville, Clinton and Evansville. 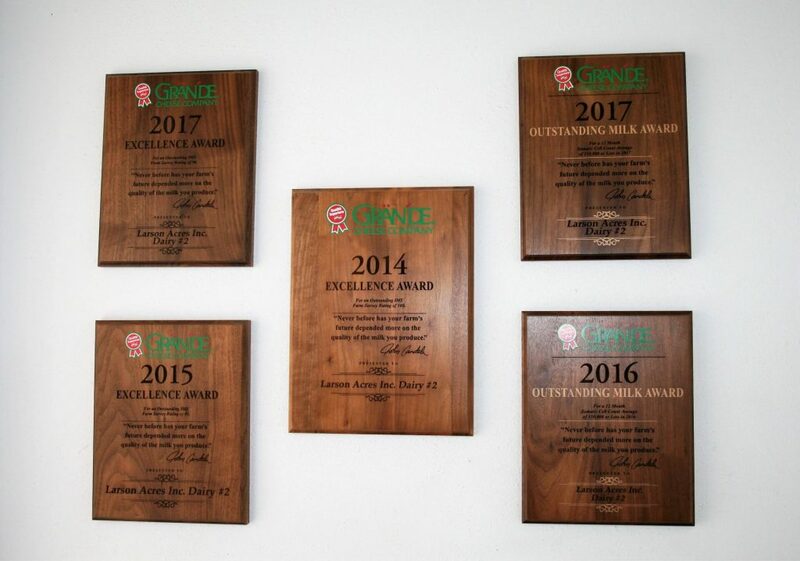 The following are two of the four Sunday Brunch honorees’ stories. Read Part 1 of this series. 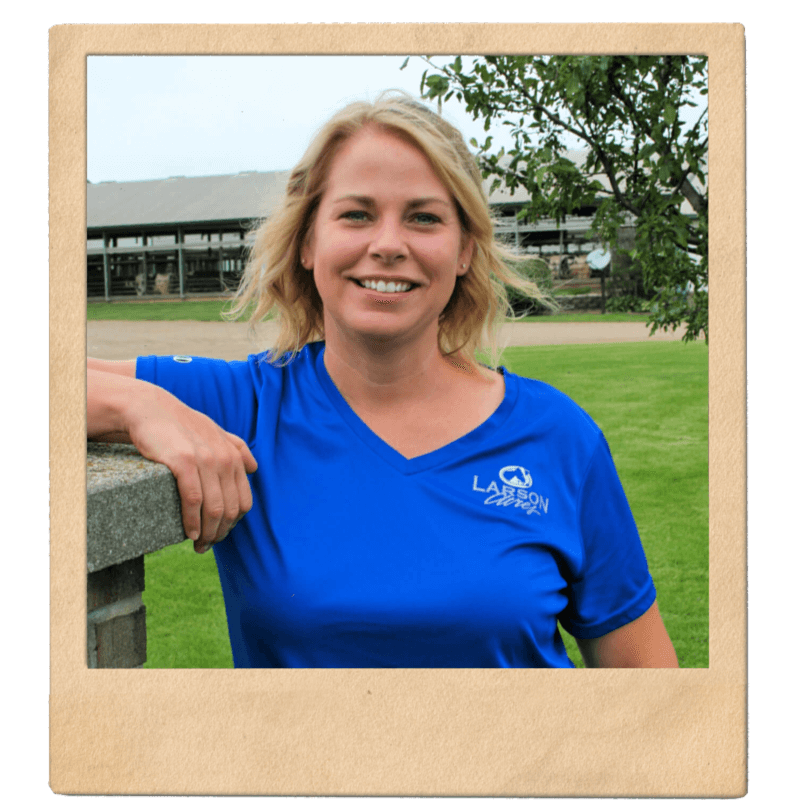 Sandy Larson is the Dairy Production Manager at Larson Acres, Evansville and a 4th Generation Farmer in Evansville, WI. To learn more about Larson Acres or schedule a tour, visit their website. My great great-grandparents started farming this area almost 100 years ago. 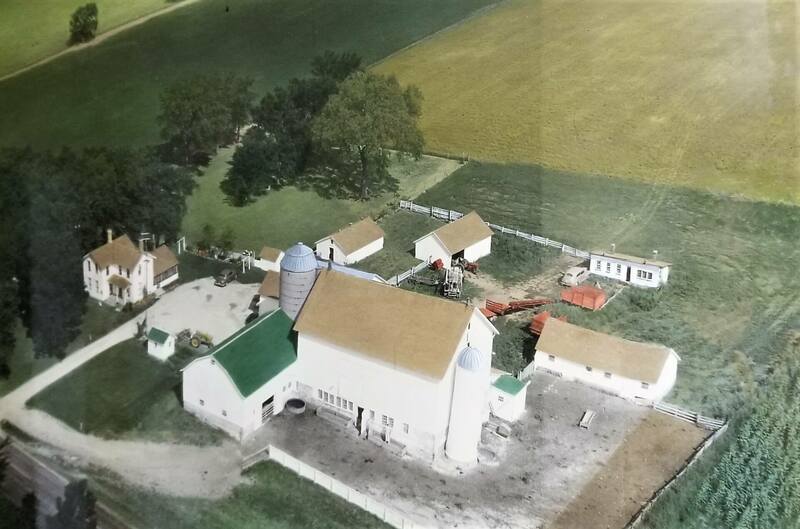 Later, my grandpa bought this farm in 1957, and each generation has grown the farm to the size it is now. The farm is near the house where I was born, and near Magnolia Bluff. When I was 11 we had a barn fire. At the time we had a phone system that would call all the houses if we had a fire. But, I was on the phone, so it didn’t call. I looked out from my mom and dad’s kitchen and I could see fire shooting out of the barn, really high. I remember all these ladies making food for the firemen that night and the next day. The following day, a bunch of farmers showed up to help move debris. We had to move all our cows to another farm to milk them. We didn’t lose anyone or any animals, thankfully. Then we rebuilt and added on. We started growing. Our first expansion with the hospital barn was in 1998. In 2010, we added more parlors. Our current office is the original farm house, where my uncle lived. I have a brother on the farm here; he’s in charge of the crops and the maintenance on the farm. We have another brother who is in Milwaukee, so he’s not on the farm. My parents are here, I have one uncle who is still on the farm. 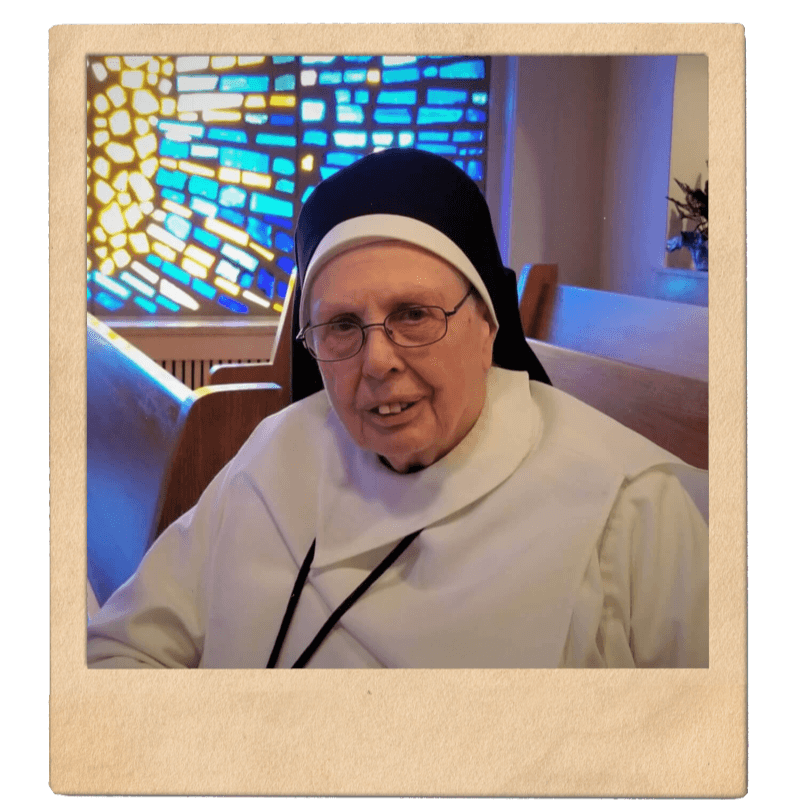 My grandma is going to turn 90 in September. She’s still living close by. When did you become part of the management team? I went to UW-Madison after high school, then I worked off the farm for about five years. When I had my daughter, I was working at a bank in Brooklyn, WI. I started working part-time so I could raise her, plus help out on the farm. It just evolved from there. I’ve been part of the management team for a long time now. There are five of us, my mom and dad, my uncle, my brother and me. We have about 70 employees, 10 are family members. What is your role on the farm? I’m in charge of the milking crew, about 24 people. I also do public relations, tours, donations and our newsletter. I also deal with state relations and anything business related there. 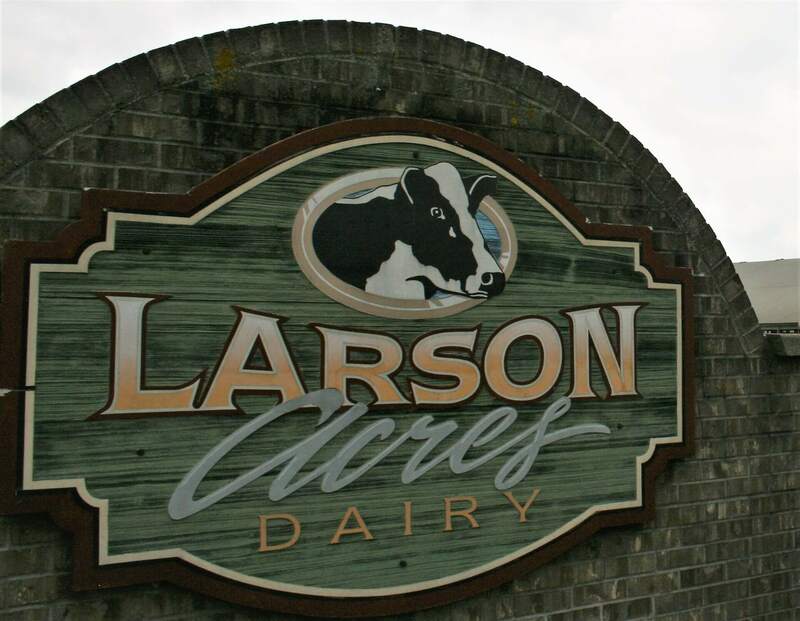 What does Larson Acres all entail? 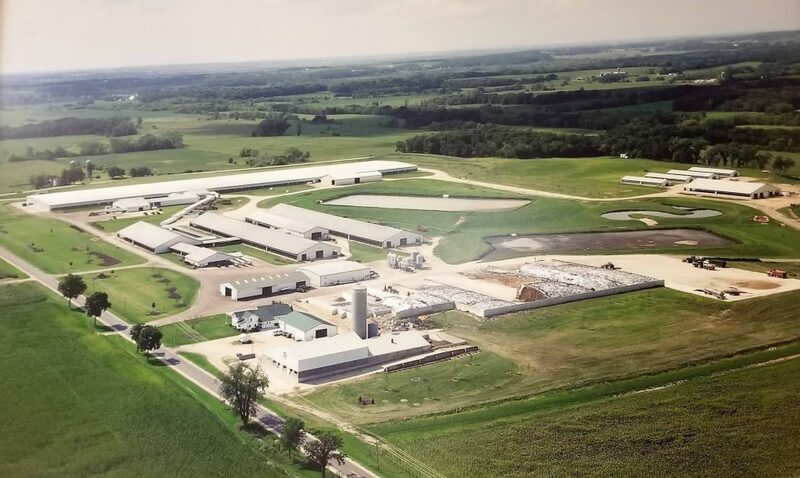 We have about 2,800 cows that we milk three times a day, and we have about 5,500 acres and grow all our cropping needs to feed our cows, corn, alfalfa, some soybeans and a grass. 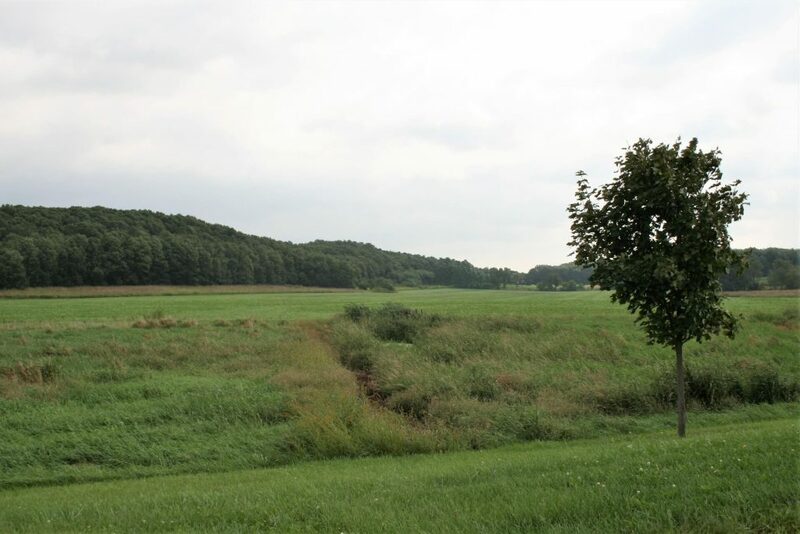 The grass field is mowed and chopped about 4-5 times a year. We harvest the grass and bring it to the cows. We get about 90 lbs. per cow per day which gets sold to make pizza cheese. What are some good memories from growing up on the farm? We used to have family dinners every month. We’d celebrate everybody’s birthday of that month. That’s what we did on a Sunday. Sometimes it was a big picnic outside. But now, times are so different, and people are so busy, you just don’t get together as often as you used to. I kind of miss that. The family gets bigger and more spread out. We were fortunate that I knew both sets of grandparents and I knew my great grandparents. We would just spend a lot of time with family. What goes on in the maternity area of the barn? 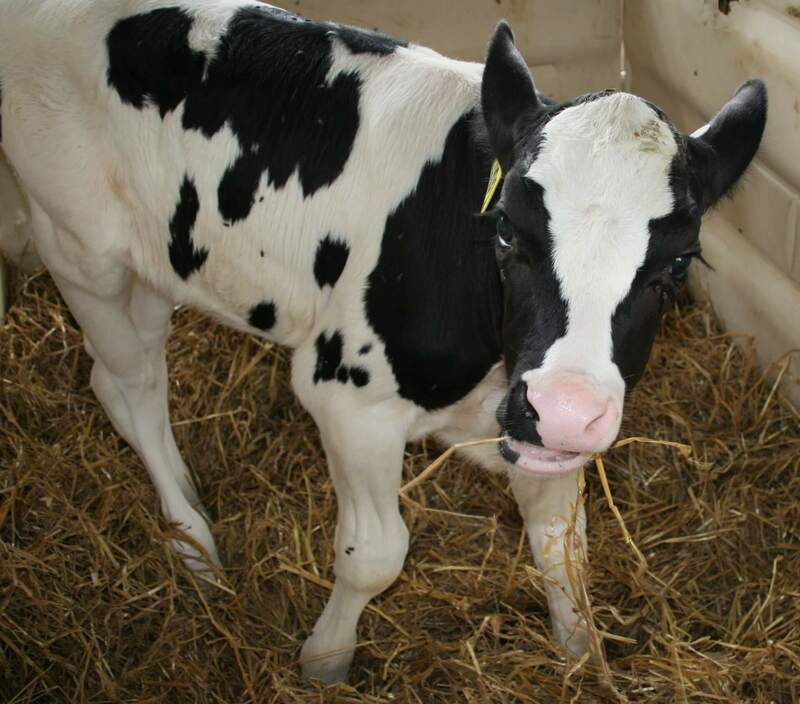 There are eight new calves born every day. The cows are all brought to the pens there when they’re due to calve soon. The herdsmen, who are on duty 24 hours a day, walk the pens and know what to look for. If they start to calve, they see the feet coming out, and then they’ll bring them to a special area to monitor them closely. If they need assistance, we make sure they have the help. After the calves are born, they milk the cow here. Within an hour of being born, they’ll feed the calves their two bottles of pumped milk from the mother right away to get their antibodies and immune system going. They get fed their milk three times a day. They get that for a couple of days. After that, the mothers go in with the rest of the heard. The milk then goes to a place called Grande Cheese Company in Juda, Wisconsin where they make pizza cheese. This particular cheese, mozzarella and provolone, is specifically made for pizzerias and isn’t found in your grocery store. It is a cross-vent barn, where the air is being blown out the barn from the opposite wall across the barn. This cross ventilation to cool the cows is produced from 185 fans blowing the air across. Other than the new maternity cows, all the other cows are getting milked three times a day to make cheese. What goes on in the milking parlor? We have a high-tech, computerized milking parlor with digital readers that keep track of each cow’s milking time and production in pounds. We also have a computer program that keeps track of all the information on a cow; when they were born, when they’re due to have their next baby, when they’ve been vaccinated, etc. Anything you would have at a doctor’s office, I have the same kind of records on my cows. How long does milking take for each cow? Maximum 8 minutes. Most of them don’t take that long. For many it’s 4 or 5 minutes. The first step is to wipe the sand off the teats. Then the milker squirts milk from each teat to check for any mastitis. It also stimulates the milk letdown. Then they wash the teats and dry them for the row of 10 cows. 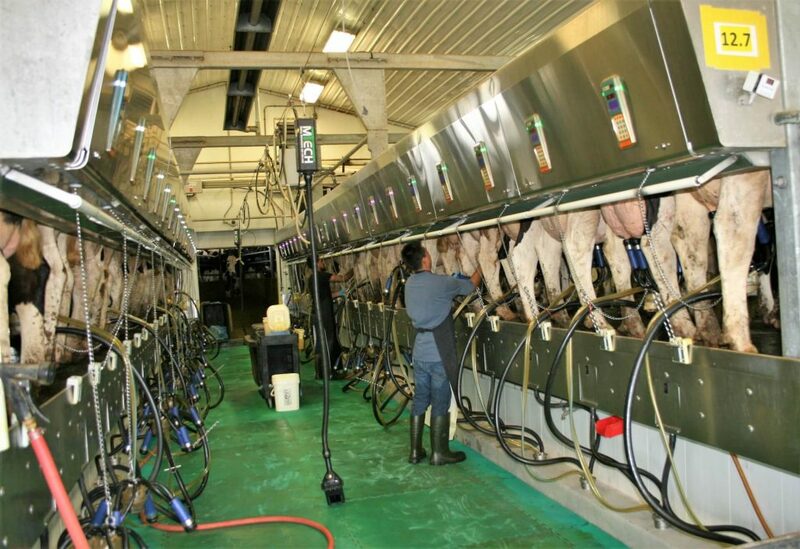 Then the worker connects the milking machine. The entire row of cows milking has to be done before they are let out of the area. The next group of 140 are waiting to come in. I have some cows who are better producers than others. That’s genetics. So, when we breed them, we try to improve the cows to have stronger legs or more production. They are milked three times a day. The first is at 5 a.m., they’ll milk 1,200 cows in here, then clean everything up, washing everything inside/outside. The second shift is at 1 p.m. and a shift at 9 p.m. The milk is piped fresh, so it comes out very warm, near 100 degrees, like the human body. The milk is cooled in a container, in well water lined coolers. Then it is cooled even more. The temperature goes from around 100 degrees to 35 degrees within minutes of being produced! The milk then flows directly into an insulated tanker semi. I have about 5 trucks of milk shipped out each day. We are environmentally conscious, so I do reuse that well water for watering the cows and washing things. 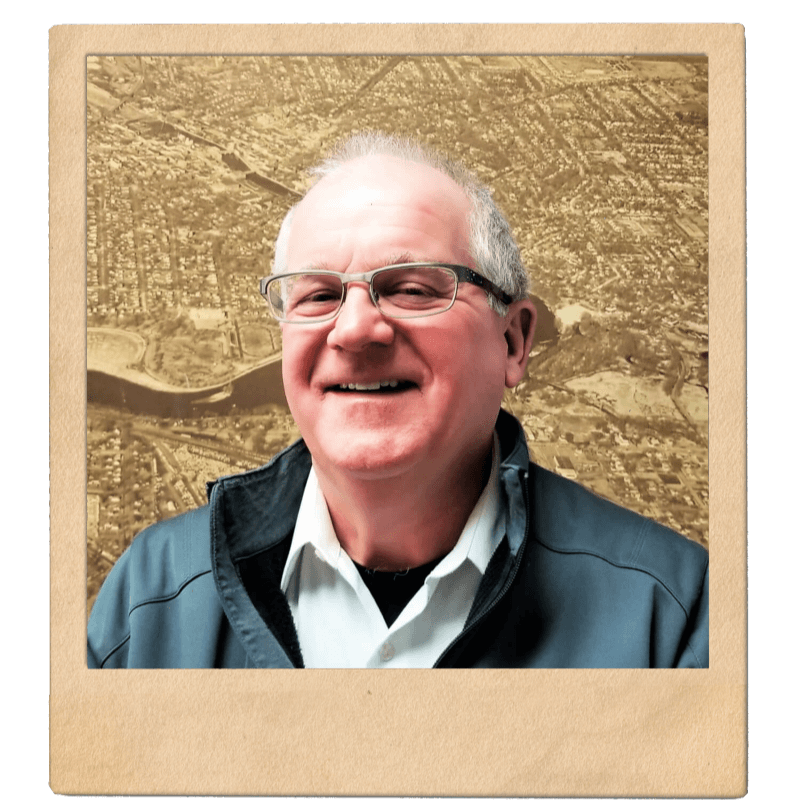 We have local plumbers check the equipment, local electricians … we use local everything, local vets and such. 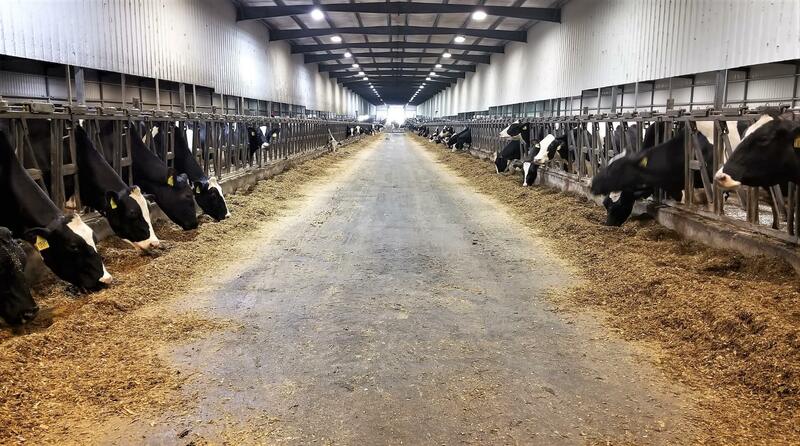 What happens in your hospital barn? Any cows that are sick or need special care, they come here and they get that care from the herdsmen and the veterinarian. We get them better as quickly as we can to get them back in the herd. 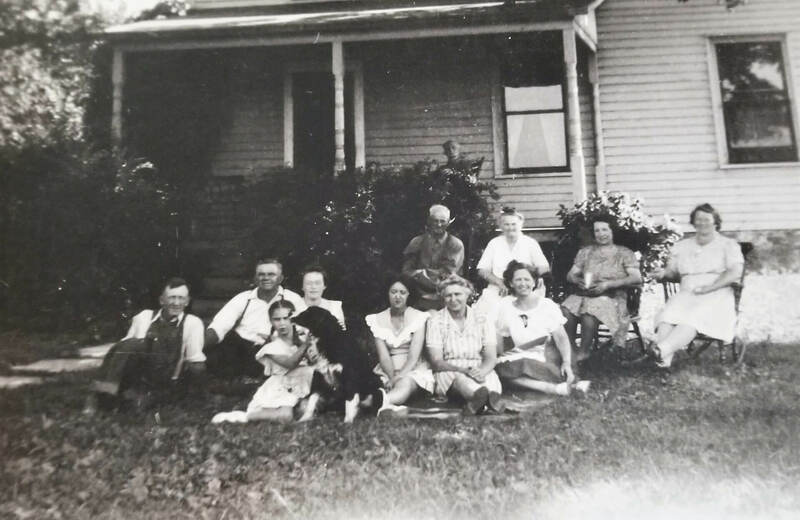 How have you preserved the family farm history? We have a wall in our business office that tells our family farming story, with old photos and our story. 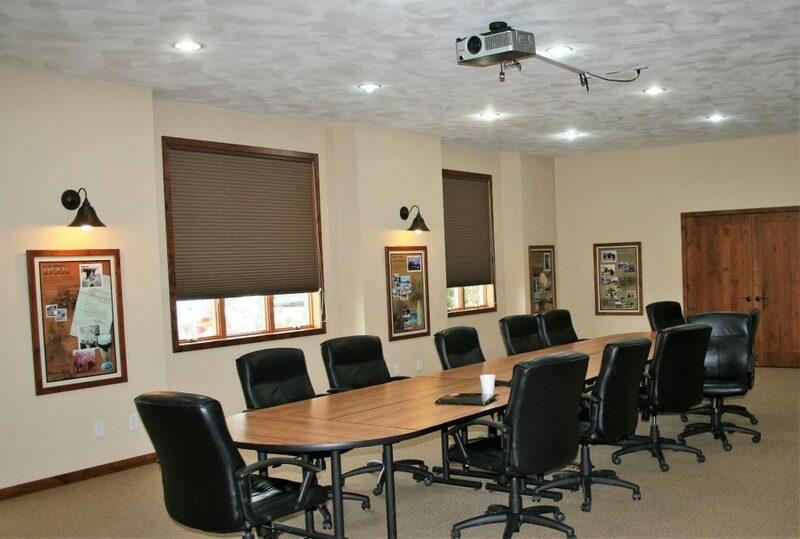 We also have what you might call storyboards that tell the history of the business over the many decades, and those line the walls of our conference room. On another hallway wall, we have larger aerial photos of our farm and how it evolved. It starts with the farm my grandparents owned to the farm when I was born and a few more to the current photos of our expanded dairy business. How do you feel about the state of farming, where do you think it’s going? Now, with farming, you really need to be conscious of your spending and your income. We have a budgeting meeting and we meet quarterly with a consultant who will say, “We’re doing really well here” or “We need to improve in this area here.” It keeps us in check. You need to be very smart to weather the ups and the downs. Farming still has ups and downs, ups and downs, and you need to be able to shorten those waves so you can keep going … so you can have steady production. What are some changes you’ve seen in agriculture over the years? There are a lot of computer-based programs here. There’s a need for IT people. I tell the kids that visit the farm, it’s not just grabbing a pitch fork, there are so many things you can do. The technology with having GPS in the combines to work the crops, it’s making us better farmers, more sustainable farmers. That’s a lot to learn, even now! There are a lot of apps that can help you, too. And the changes keep coming so you have to keep up. Tell me about the tours. I have a tour guide on staff, too, because we get so many. We get international guests year-round, especially around World Dairy Expo time in October. We’ve had guests from Norway or Texas, we used to have maps of all the states and countries of our visitors. We have a calendar dedicated to tours. That Dairy Expo week is really full! We take school tours at the beginning and end of the school year. All of the kindergarteners from Evansville come out every year. I’ve had tours from Janesville, Beloit, Broadhead. We get them out here with their parents, too, which is just as important. They’re getting more and more removed from the farms, and it’s not like “My parents had a farm” or “My grandparents had a farm.” They just don’t have that connection. We don’t charge for the tours, we’ve always had an open door. It keeps us busy! But, people should call and schedule their tours. How can the non-farming community support local farming? 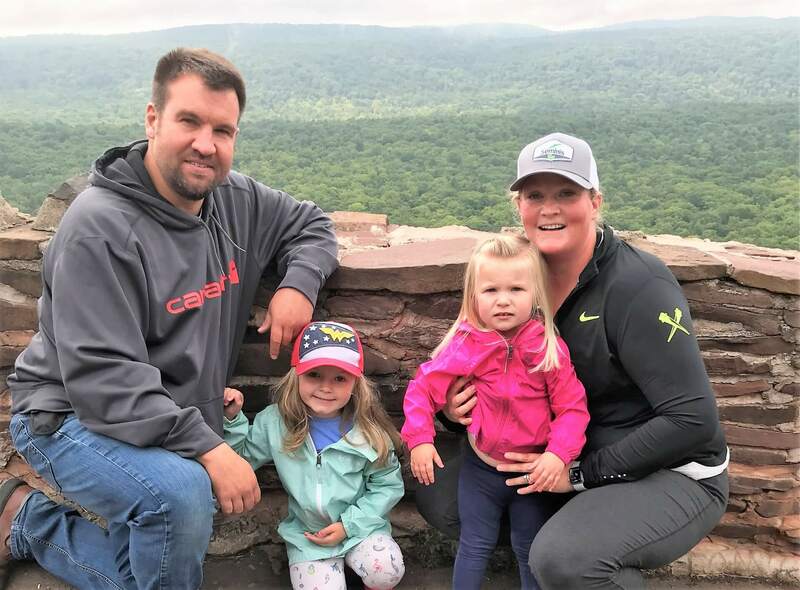 There are little things that happen in the county that can help with awareness and events to help you to learn more, like the Dairy Breakfast, or the Beef Cookout or Pork Producers events. There are really strong producer groups in Rock County. 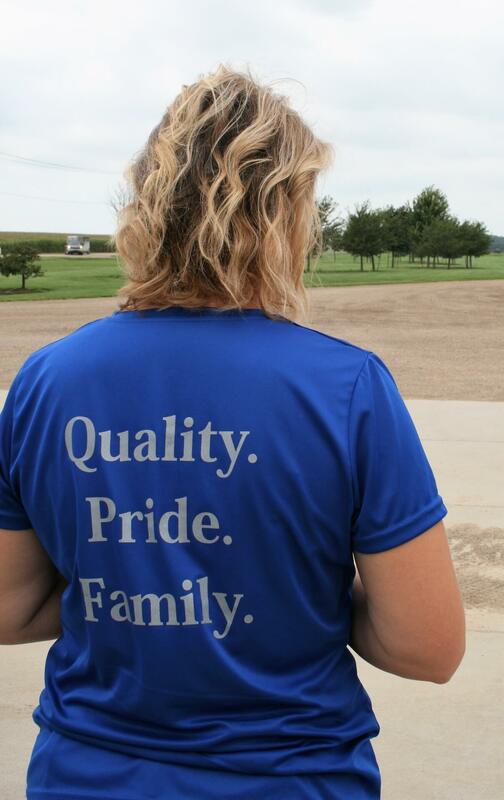 Ag Business Council of Rock County encompasses all of that. By supporting these groups, they in turn support the community. For example, the Dairy Council gives milk or ice cream to schools if they have an event. People can also support the farmer’s markets and local produce. It’s important for all of us to be open to technology in farming. We can’t be prevented from using it, because it’s helping us to grow as farmers. How do you see women in agriculture? You read about it in the magazines a lot, about women running their own farms. But we’re seeing more and more women in Rock County, like the Daluge family, the sisters there, starting to take over the farm. Having the opportunity to be on a farm and raise your family is important to women, so it seems a natural transition. My mom was on the farm, but didn’t have a strong a management role, whereas we, the younger generation, are more educated now and we want to be a part of the decision making and have a say. What’s your favorite thing about farming? I’m really proud to be back on my home farm, and I’m really glad that I got to raise my kids here, that they got to be involved in 4-H in our area. They have grown to appreciate living on the farm. And if they’d like to come back here someday, the door is always open if they want to continue farming. I couldn’t imagine being anywhere else. It’s an opportunity that I’m really glad I had. 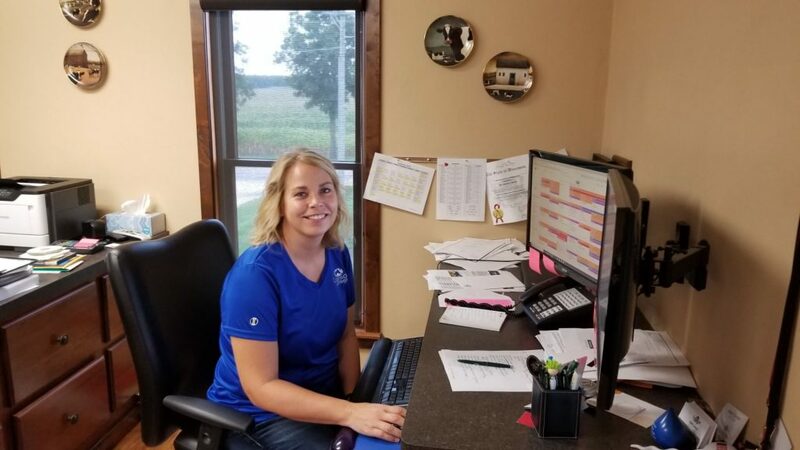 Emily Arndt-Rein is the Agriculture Department Manager at Seneca Foods; Secretary of the Ag Business Council of Rock County; and 4th generation in the Arndt Family Farms. I have two older brothers and a younger brother. None of them are currently on the farm or involved in it. Was there pressure on you to stay in agriculture? Not really. I wanted to be in agriculture. When I was growing up, it was my brothers, they were the ones doing all the farm work. When I got into high school, I joined FFA, took some agriculture classes. 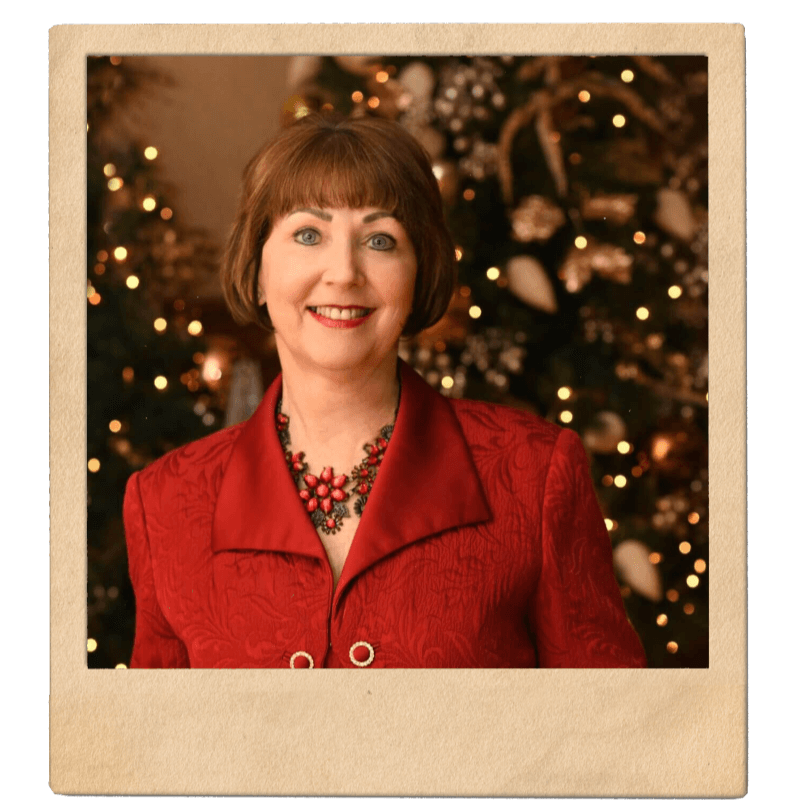 Really, my agriculture teacher in high school, Diane Runde, was very influential. 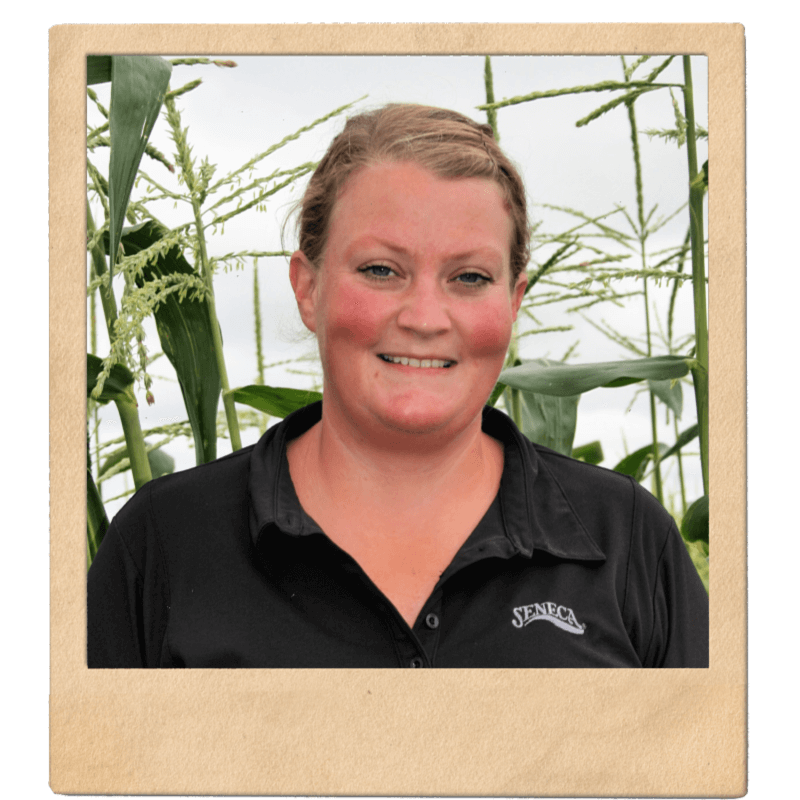 She opened up the world of agriculture beyond farming. There are so many options beyond farming! That’s when I started helping out on the farm, in my teen years. And then, I decided that I wanted to go to school for Agriculture. How long has your family been involved in farming? My great-grandparents were farming this area. I’m the fourth generation on this farm. We had mainly beef. We had corn and beans, as well. In the 1990’s, we started growing mint, and we also grow canning crops, such as sweet corn, peas, lima beans. My family has been growing canning crops since the 80’s. What are some good memories from your family farm? Believe it or not, the hard work. It definitely established a good work ethic in myself and my siblings. We didn’t get to take many family vacations or go very far from the farm, but we worked together and spent a lot of time working. 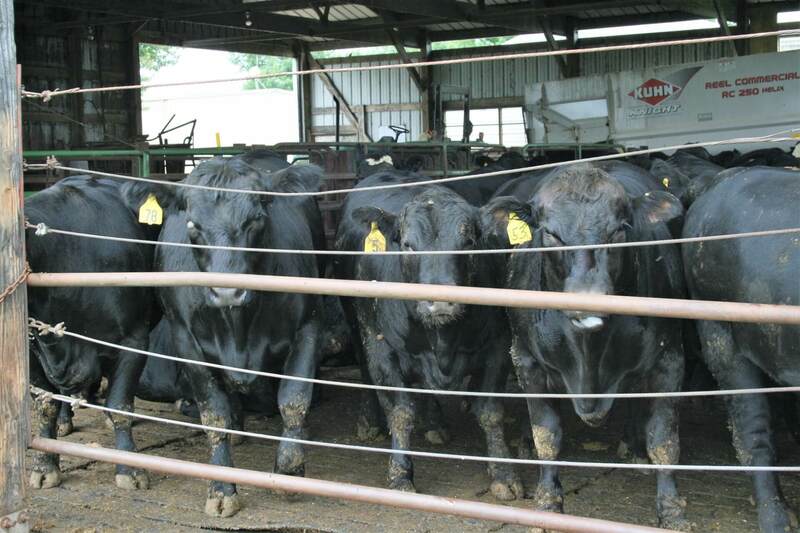 I showed cattle from 8 years old to 20 years old. I dabbled in sheep and pigs. That’s a lot of hard work, too, getting the animals ready for the fair. Tell me about your current agricultural career. 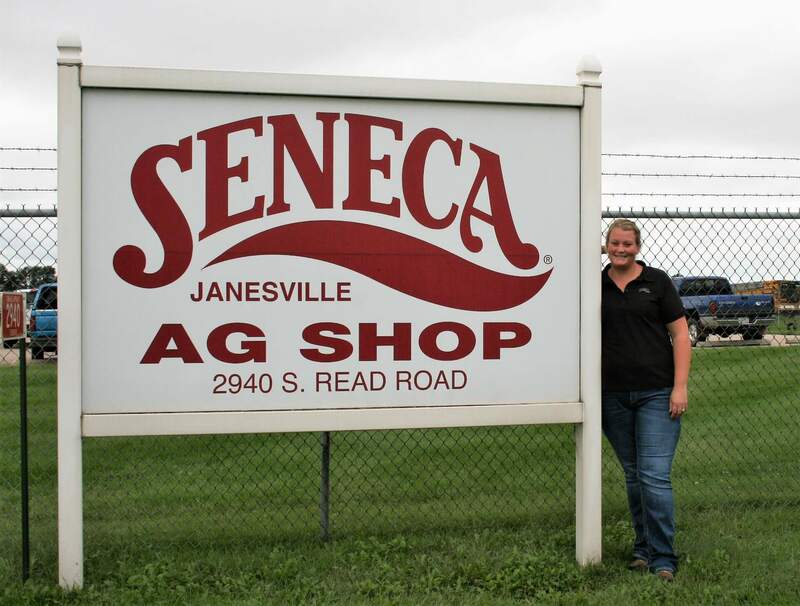 My job is the Agriculture Department Manager at Seneca Foods. So, I am still very involved in agriculture, but don’t work directly on a farm. In high school, I was hired at Seneca as an intern. I spent my summers scouting fields for Seneca. 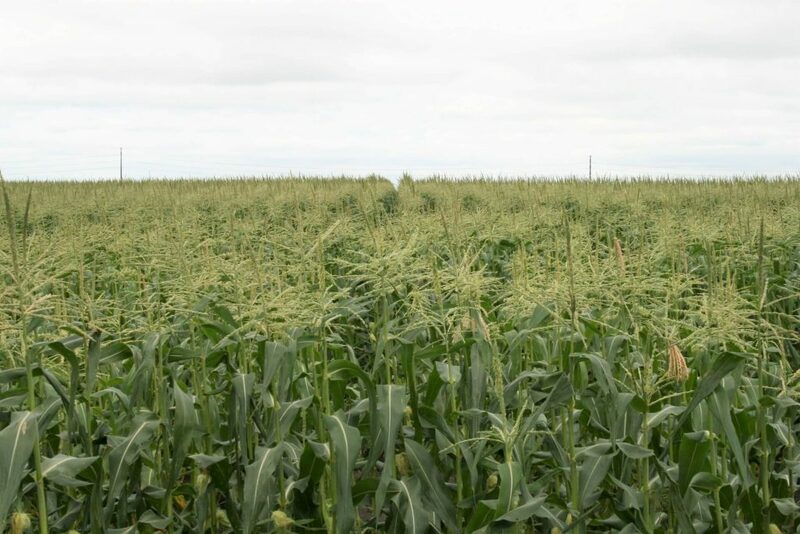 After obtaining an Ag Business degree at UW Platteville, I actually took a job at the DeLong Company and wasn’t there even a year when Seneca came to me and asked if I want a full-time job. I was a Field Representative for about six years, and then promoted to Agriculture Manager, my current position. What are some of your duties there? I manage a department of about 15 full-time people. That department grows to about 50 people seasonally. It takes a lot of seasonal labor to harvest our crops. 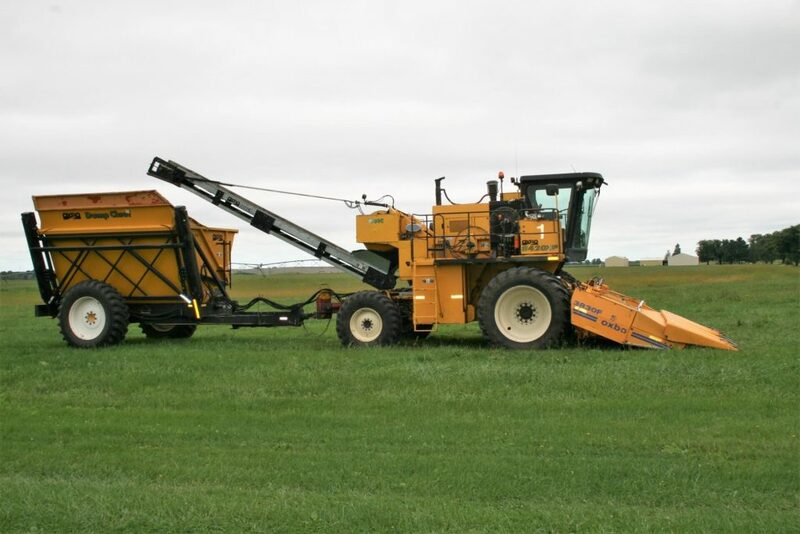 We manage all the planting, the growing through the season, the harvest operations. Basically, everything to get that raw product to the plant. It’s a lot of managing people, watching the weather. The weather dictates about 90% of what we do in our business. Do you help the family out at harvest season? I do. I actually live on the grain farm, where they store the grain, so I help run the dryer or drive the truck. I’m capable of doing just about anything. It’s just that there are time constraints with working full-time and having a young family. In what areas are you involved in the community? I’m the secretary of Rock County Ag Business Council. This is my fifth year of being involved in the organization. There are nine board members and we try to focus on different facets of agriculture in the county. We had a Rock County Agricultural Legislative Forum on Sept. 12, and we host different events throughout the year. At the 4-H Fair we have a large tent that showcases agriculture. We put out a big corn box for the kids to play in, the little ducklings and we have tables that show various aspects of agriculture. What are some technological changes you’ve seen over the years? It’s crazy. I remember the days without GPS, and now you can drive a tractor and not hold on to the steering wheel. It makes life a lot easier. The physical labor is not anywhere near what it was 10 or 20 years ago. New technology reduces the need for as many farm hands. It helps with the labor. Labor in the agriculture industry is very hard to find right now, anyway. People don’t want to do the physical labor and they don’t want the long hours and the weekends. Like I said before, the weather dictates most of what we do. And if the crop’s ready to come out, it’s got to come out whether it’s the middle of the night or on a Sunday or if you have to work 16 hours! How can the community help support agriculture and farming? The important thing is to trust the farmers. Trust that they are providing a healthy, safe product. We have families, too, so we’re not going to produce an unsafe product. There’s been such a huge drive toward organic produce, and nothing against organic, but it’s not going to sustain the world. Yes, we use chemicals. Yes, we use fertilizers, but it’s all at a very safe rate and it’s all to produce a very good, safe product. Farmers aren’t scary people. Most of them will welcome you to their farm and tell you their story. There are a lot of good things going on, too. There are a lot of agricultural organizations that go to the farmer’s markets and try to teach people who aren’t familiar with farms about farming and what we do. This is good, though we’re not reaching everybody. Awareness and education are key. What do you see for the future of farming? Technology is just going to grow. I mean, 10 years from now we might see a tractor going without a person it! Good or bad, it’s coming. It’ll make farmers more efficient. Genetically, they’re creating seed which aims to grow more crops on fewer acres with less input. They can track the water; how much it needs. Everything is technology based. I see farms getting larger. That’s the growing trend. I don’t know if it’s all good, but a lot of times you have to get bigger to stay in the game. Even with this farm, it’s not run by one single family, but run by three families, my dad and his two brothers. 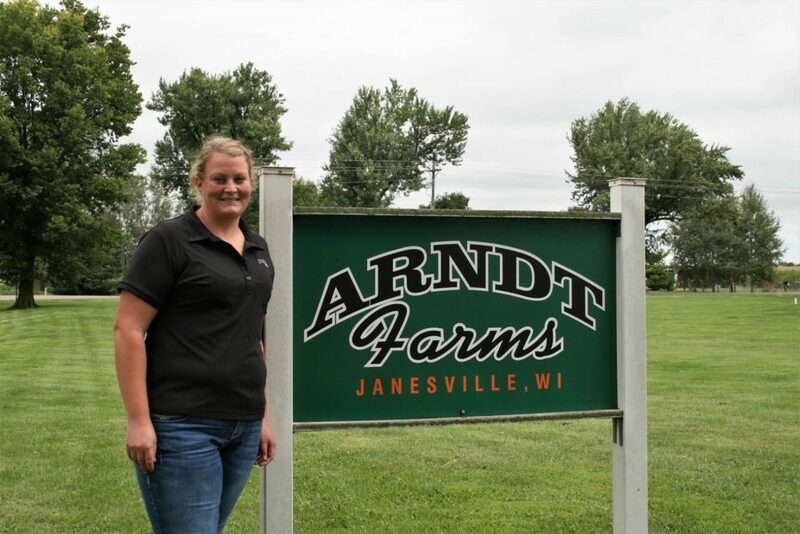 The Arndt Farms is now 3,000 acres, quite a big operation! It’s very diverse, from the cattle to the crops, which is a benefit. I think the outlook is good. Obviously, commodity prices aren’t great right now. And the dairy industry is experiencing terrible times. But everything cycles around and we’ve lived through some really good times in the last five years and now we’re just going to have to try to stay afloat. As long as people want to stay in the business and can do the work and hang on, it’ll be good again. Are you raising your children to understand farm life? They do understand it, though they’re little yet, so I can’t give them too many chores to do. I take them around the farm, around the cattle. They know that Mommy grows corn and peas, and they know what a corn picker and a pea combine look like. Of course, Grandpa’s a farmer, too. I hope someday they’ll be involved in agriculture. What’s your favorite thing about agriculture, what do you love about it? Watching the crops grow, being able to work outside. The biggest thing for me is being able to raise my family on the farm. I love being exposed to the hands on of the crops and some of the livestock. Most kids don’t get that experience. They don’t know where their food comes from. It’s a huge advantage for my own children … and for me.